There is a never-ending array of things to do in Las Vegas, specifically outside, and the walkability of Downtown Las Vegas adds to the list of benefits of living in this vibrant area. When most of us think of Las Vegas, walkability isn’t necessarily the first attribute that comes to mind. Sure, there are plenty of overpasses that span Las Vegas Boulevard that can be used to hop from one side of the street to another, but there is another side of Vegas that truly begs to be explored while on foot. 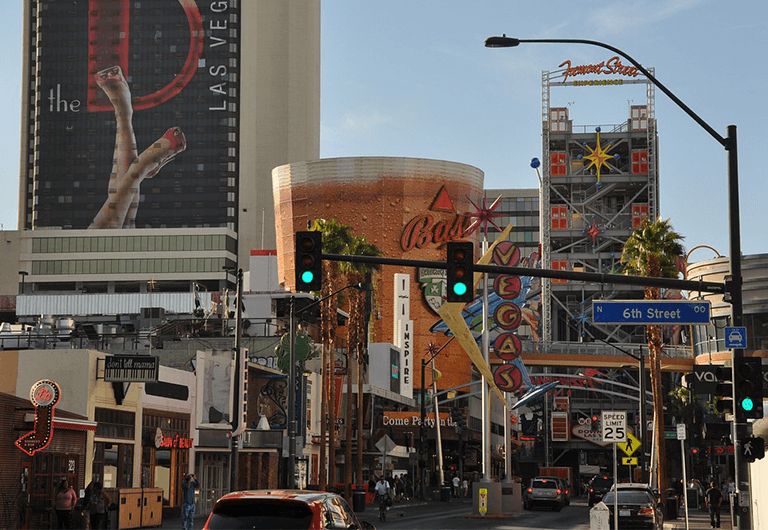 The Downtown Las Vegas (DTLV) area, in particular, is incredibly walkable, providing a great opportunity to navigate the neighborhood on foot. Which areas are the most walkable and what makes them worthy of the stride? Fremont Street Experience: It has been nearly 115 years since the city of Las Vegas was formed, and the intersection of Fremont and Main Street marks the physical location of not only this original creation, but also of today’s modern Fremont Street Experience. The full experience is a walkable seven blocks, with the iconic multi-colored roof structure spanning four of those seven blocks. Free light shows happen every hour on the hour, with a current time schedule from 6pm – 1am (hours vary based upon the season), and free live music is on tap every night, too. Make sure to check out some of the local eateries located in the Downtown area as well, for the ultimate Fremont Street Experience. Downtown Las Vegas also offers a variety of nightlife options that aren’t located inside a casino. This area of downtown is referred to as Fremont East Entertainment District. Within these three blocks that make up the district, you will find a wide range of bars with each location offering something different. Smaller, more independent restaurants such as Le Thai satisfy your palate, and the icon of classic Vegas, the El Cortez Hotel & Casino is just across the street. If you’re looking for a fun “local” night out in Las Vegas, Fremont East is your destination. Catch a local band performance at Backstage Bar and Billiards, enjoy a drink and the views from the balcony at Commonwealth, or indulge in your favorite craft beer at Park on Fremont. The opportunities are endless and original when you step foot in this part of town! Museums: Venture just a block or two off Fremont Street and discover several unique museums and exhibits that will capture the attention of people of all ages. 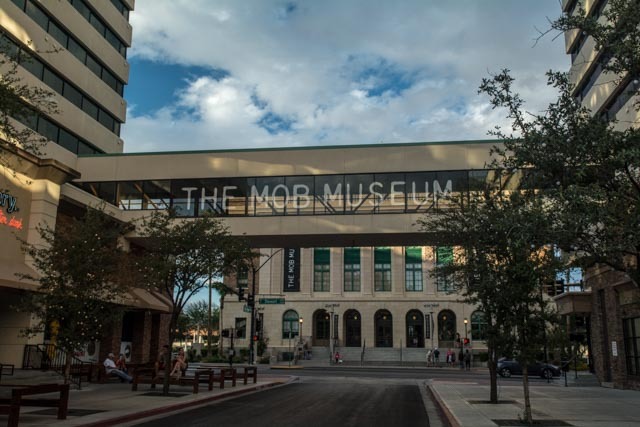 The Mob Museum, located at the corner of Stewart Avenue and North 3rd Street, is literally 800 feet away from the Fremont Street Experience, while the Southern Nevada Museum of Fine Art is on Fremont Street itself. Those living in DTLV can access both of these acclaimed venues by foot. The museums are only part of what makes DTLV the cultural hub it is. A visit the Old Las Vegas Mormon State Historic Park or Neon Museum offer a glimpse into the recent and not-so-recent past of this historic area. Downtown Corner Store – The newest addition is the Downtown Corner Store, a community convenience store. Here you will find Juhl’s one-stop shop for grocery and on-the-go needs. The Corner Market provides convenient salads, sandwiches, coffee, everyday grocery essentials, and much more! Additional outlets at The Promenade include: Downtown Décor, The Audio Video Boutique & Design Studio, and Get a Haircut This one of a kind location and offers all the convenience residents need in destination that’s easy to get to on foot. Downtown Container Park: This family-friendly venue is situated just beyond the El Cortez Hotel & Casino, and is a mega-sized shopping destination that offers unique dining and entertainment opportunities for visitors and neighborhood residents alike. Boutique shops keep adults entertained, while the dedicated kid’s play area with 30-foot slide and splash park highlight this unique destination. You can walk there from your DTLV residence and enjoy live music set to the backdrop of gorgeous desert sunsets and balmy temperatures. Arts and Culture: Walk through downtown and discover 18b, the Arts District. This gem of an area is home to artists, architects, sculptors, photographers, designers, and so much more – with numerous galleries, exhibits, and work spaces established in the area. Visit the Arts Factory on East Charleston and see it all under one roof. Plus, the First Friday celebration is held every first Friday of each month, from 6pm-10pm, for free. Don’t forget to observe the local arts spread throughout all of DTLV where local buildings have become a canvas for artists, giving the area a little color and culture for all to see. 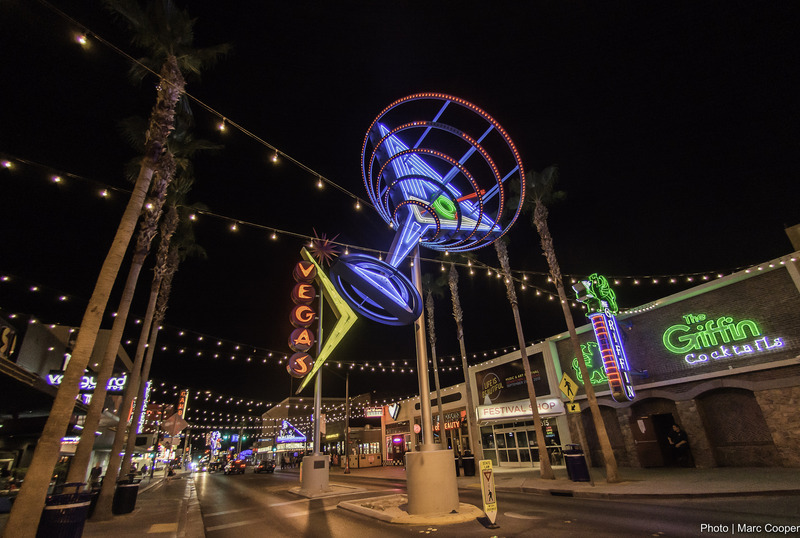 Choosing to work and live in the DTLV area is a smart move for those who value walkable neighborhoods, diverse cultural experiences, and a vibrant arts scene that is attracting an incredible array of talented individuals from around the world. Close proximity to the center of the city, nearby natural wonders, the Las Vegas Medical District, Symphony Park, and world-class dining and shopping venues make Downtown Las Vegas an infinitely desirable place to call home.